To go as far as to associate yourself and the food that you sell to a legend like Sungei Road Laksa, let alone “famous”, takes some serious balls and a massive amount of self-confidence. 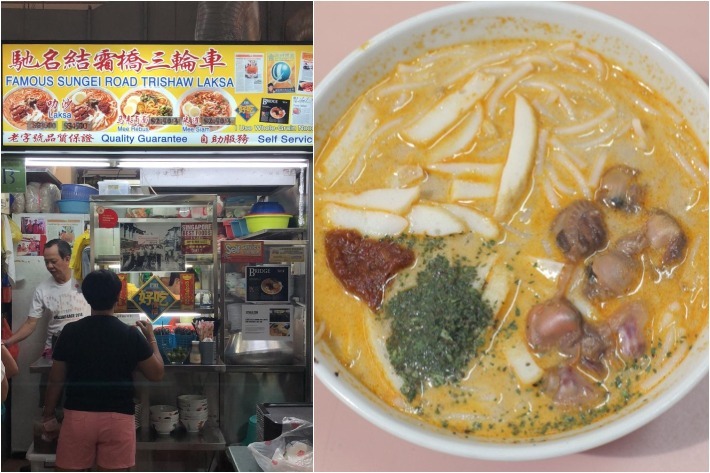 Passing by this anything-but-humble stall in Yuhua Market & Hawker Centre, we were eager to give their laksa a try. Queues were pretty long during lunchtime, which was a good sign. But was the wait worth it? And did their laksa come close to the legend themselves? Read on to find out. The stall is easily recognisable by their large, yellow signboard. The walls of the stall are plastered with awards and reviews which was a promising start. 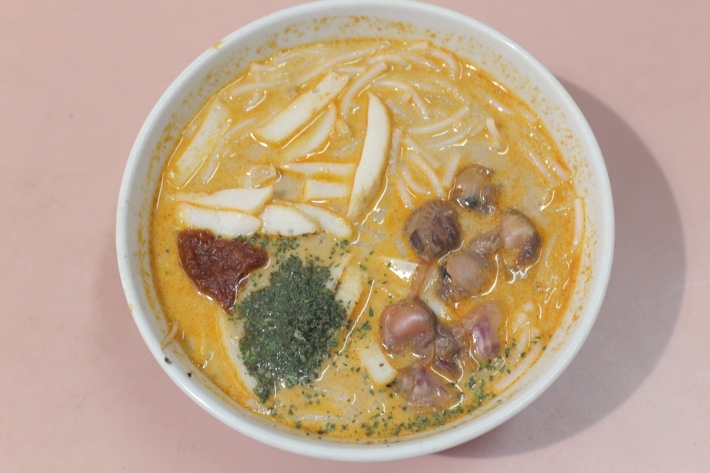 A bowl of their laksa costs just S$3.50 (S$0.50 more than the folks over at the original Sungei Road Laksa) and inside it is a generous portion of rice noodles and ingredients, all submerged in a fragrant, seemingly rich gravy. Their laksa comes topped with fishcake, ground laksa leaves, sambal chilli as well as a generous amount of cockles. The gravy was rich and creamy, and the coconut flavour really shone through without overpowering the dish. When we mixed the sambal in, the flavour profile of the laksa definitely was elevated tenfold, and the dish also became significantly spicier. All in all, we were rather impressed by their laksa. It hit all the right spots and was comforting, to say the least. 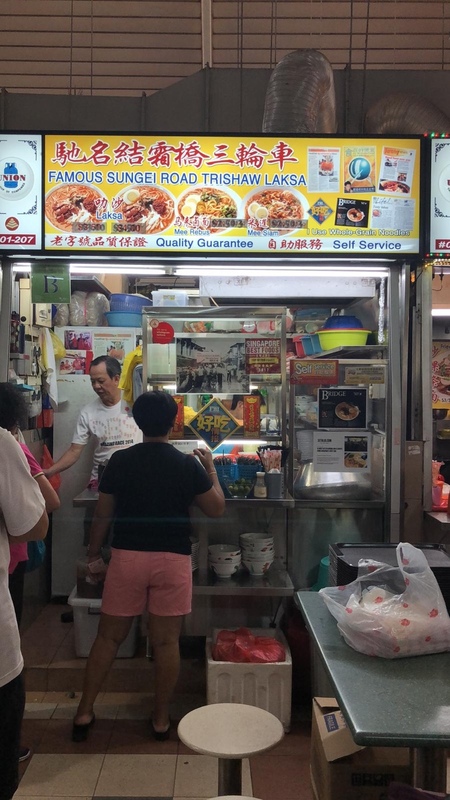 But as to whether they deserve the title of “famous” or whether they’re affiliated to the original Sungei Road Laksa in any way, that remains a topic of debate.